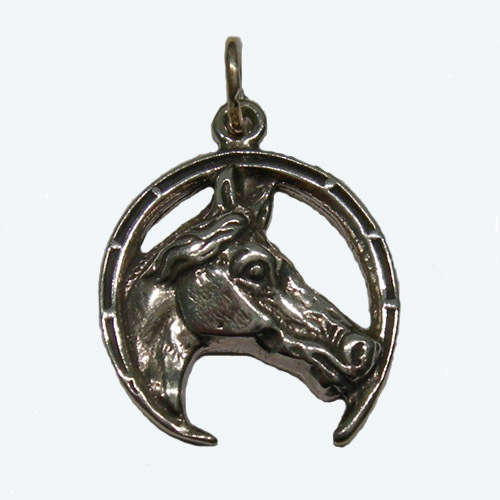 Desc: Sterling Silver horsehead inside horseshoe charm/pendant. The horsehead has a flowing forlock. The horseshoe has detailing. The charm/pendant has a bright polish finish.